UK Transit Visa 2019 Application Guide and Requirement. U.K. transit visa is a nonimmigrant (temporary) visa that allows you to pass through the U.K. while travelling to another country. This visa will not allow you to stay in the U.K. If you wish to visit the United Kingdom. You should see if you are eligible to apply for a visitor visa. A transit visa comes in two forms: Direct Airside Transit Visa (DATV) which is limited to 24 hours and you must remain ‘airside’ (i.e. cannot pass through immigration) and a Visitor in Transit Visa, which is valid for 48 hours and allows you to change airports (and terminals at airports where you can’t do that airside). Countries that Needs Transit Visa. Direct Air side transit VISA application process. I have followed below steps and I got VISA in six working days. I want to share my experience with all of you. N/B: Those who are staying in united states without valid VISA and wants to go India via London we need Direct Airside transit VISA. 1. First follow this link https://www.gov.uk/transit-visa/direct-airside-transit-visa and go through this page. 2. Once you click apply online in above link it will take to https://www.visa4uk.fco.gov.uk/home/welcome web site and create login account and start filling the application. 3. Once you fill the application select USCIS location for finger prints. We have to take the appointment for this. 4. Application fee per person is $48. 5. Required documents for USCIS is take the finger prints appointment document and your passports. 7. 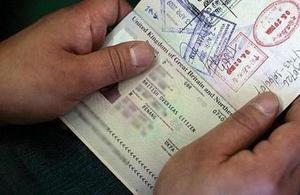 Ask security to give the UK VISA required documents and you can go through the document. 8. To send the documents to New York address use the following link https://www.vfsglobal.co.uk/ShoppingCart/Pages/Authorization.aspx and they will send you Air way bill. This will be fast but little expensive ($50). With one bill we can send four applicants documents together. 9. Also UK consulate will accept couriers only from UPS. No Fedex, no USPS. 10. Once we send below documents UK consulate will take 15 days to process. Remember UK consulate will work only Monday to Friday. So send documents well ahead to avoid last minute travel plan changes. 11. If you have any doubts then we need to talk to their customer care and they will charge $1.7 per minute and their timings from Monday to Friday morning 9am EST to evening 4pm EST. But customer care is not much useful. 12. Direct Air side transit VISA valid upto SIX months and in UK, within 24 hours we have to leave airport and we should not leave airport. This applicable only for transit. 13. If we want to visit UK, then take visitor VISA and that will cost you $96 per person. 14. Below are the required documents. One photo (officially UK website they mentioned 45mm height * 35mm width but in US we will not get this requirement). I took photos from 50mm*50mm standard photos from Costco and sent. They accepted finally? What is transit visa for UK? Do I need a transit visa for the UK from South Africa? Do you need a transit visa for UK? What is visitor in transit visa for UK? INTERESTING! Apply for a Visitor in Transit visa if you’ll be going through UK border control but leaving the UK within 48 hours. You’ll need to apply for a Standard Visitor visa if: you need to stay longer in the UK. you can prove you need to frequently pass through the UK over a longer period. « What Loving Someone Entails and How to Express the Feeling.